As a seasoned coach and facilitator, Amy is known as a trusted creative thinking partner for leaders, teams and organizations and facilitates each client becoming the best they can be, one conversation and one relationship at a time. Her authentic presence and intuitive coaching style helps to make it safe for her clients to dream big, tackle challenges consciously, expand awareness, put learning into action, while fostering open, courageous communication and nurture trusting resilient relationships and meaning in their workplace. Amy brings with her more than 15 years of experience in organization development and action learning, specializing in building coaching cultures through developing leadership programs which focus on personal and team development, change and transition and action learning. 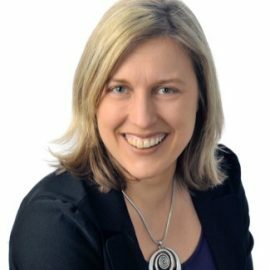 She is a Certified Executive Coach (CEC) who graduated from Royal Roads University and holds her Professional Certified Coach (PCC) designation with the International Coach Federation (ICF). She earned her Outdoor and Experiential Education degree from Queen’s University, and her Masters of Arts degree in Curriculum Teaching and Learning, with a focus on Holistic Education, from OISE/University of Toronto. Spending time and playing in Nature inspires Amy and in the wild, she is reminded of how workplaces are unique ecosystems filled with interconnectedness, ever changing conditions and infinite potential.